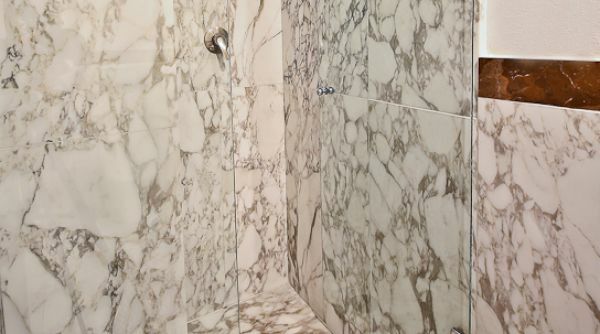 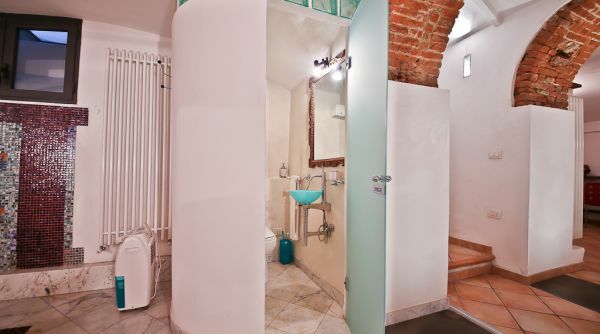 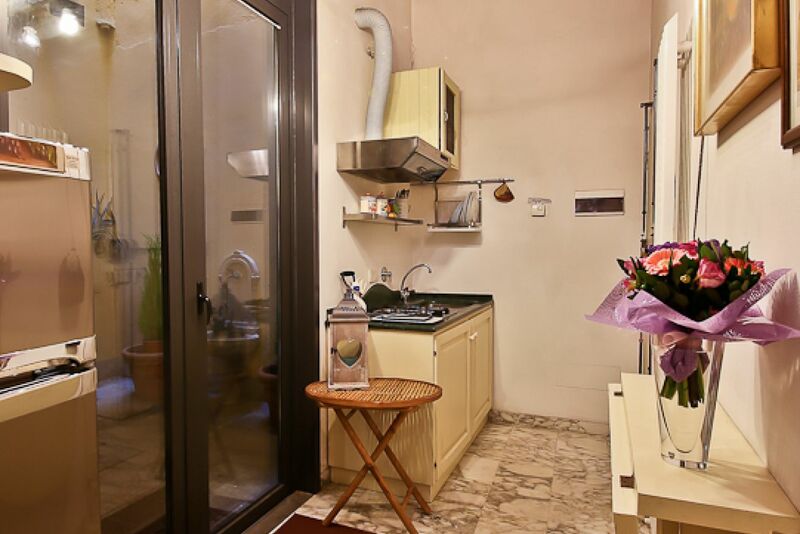 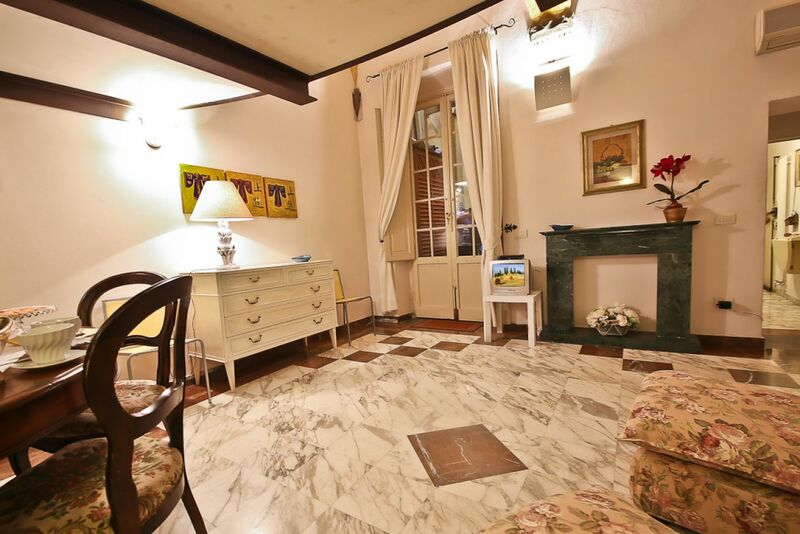 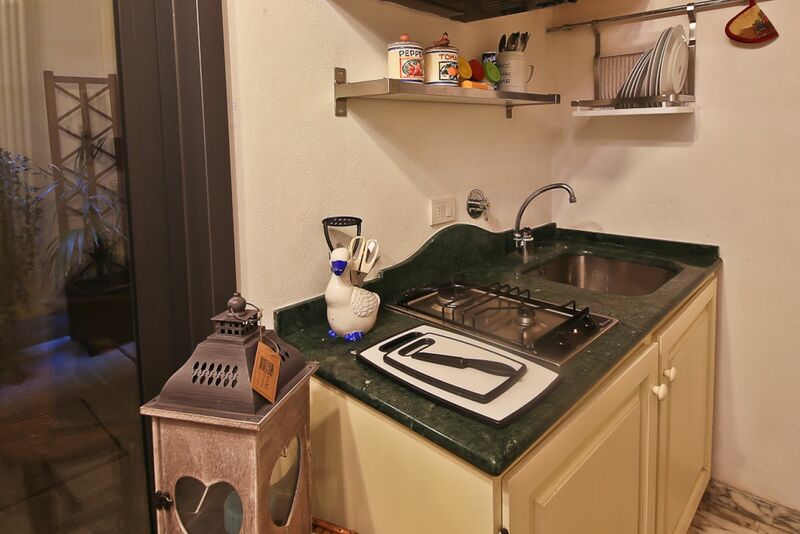 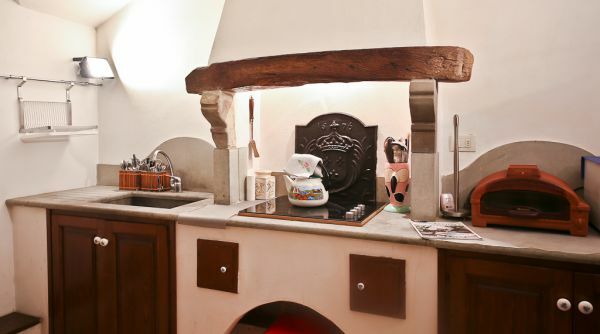 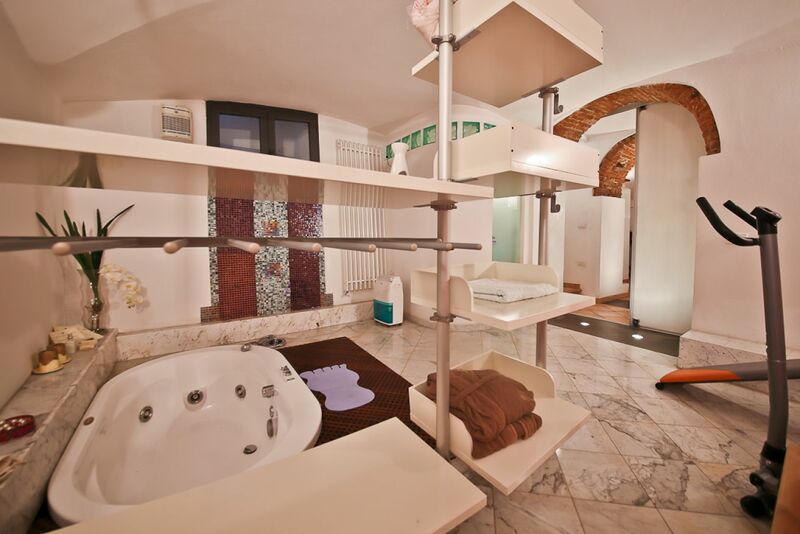 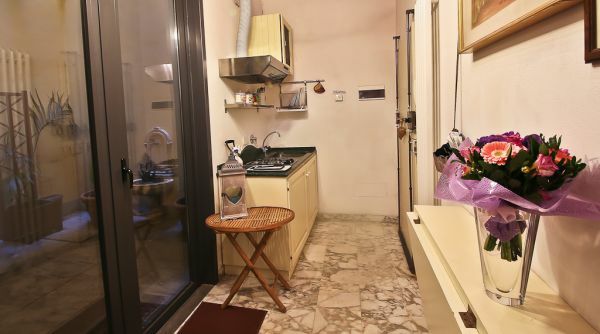 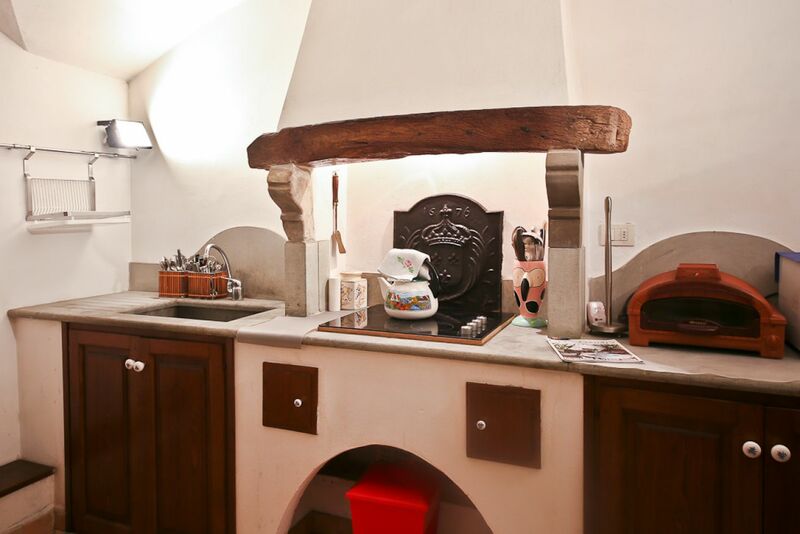 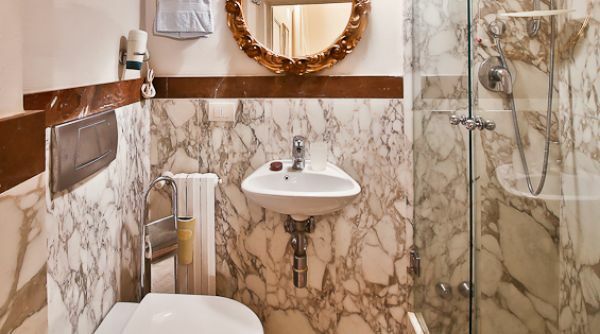 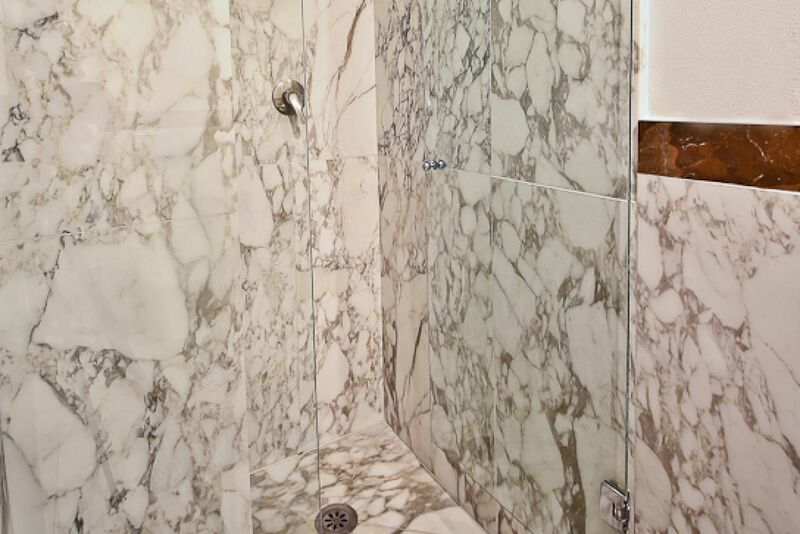 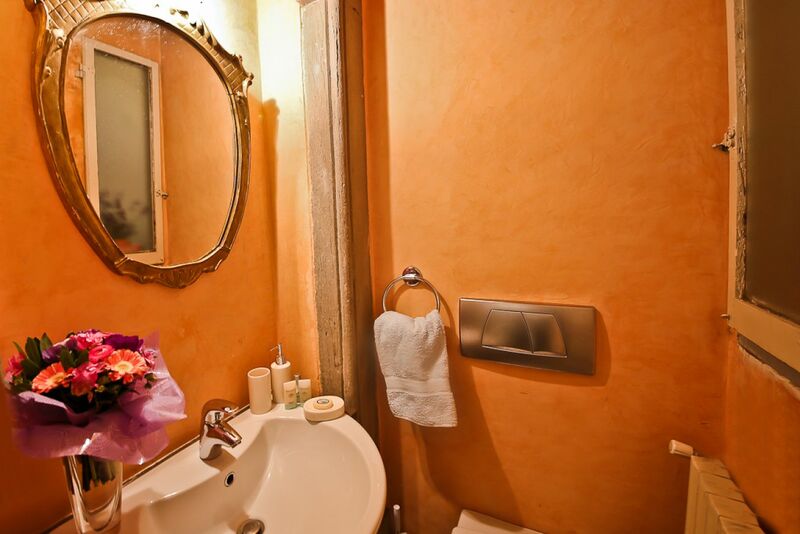 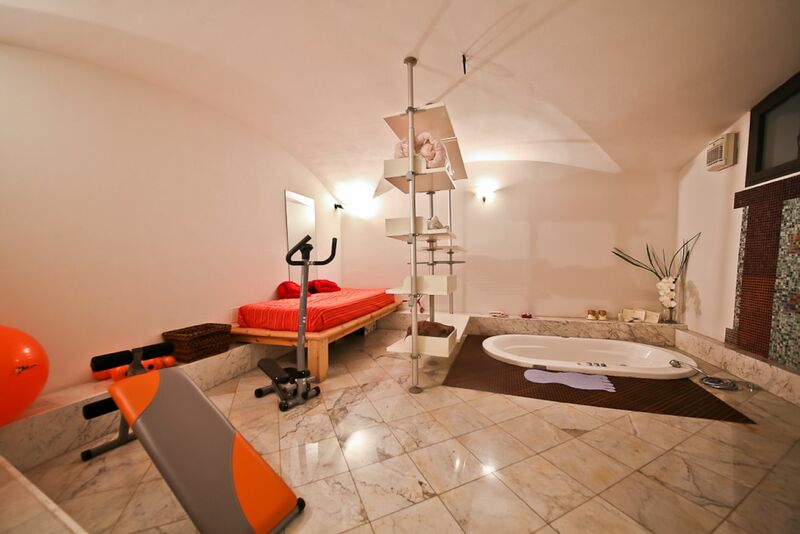 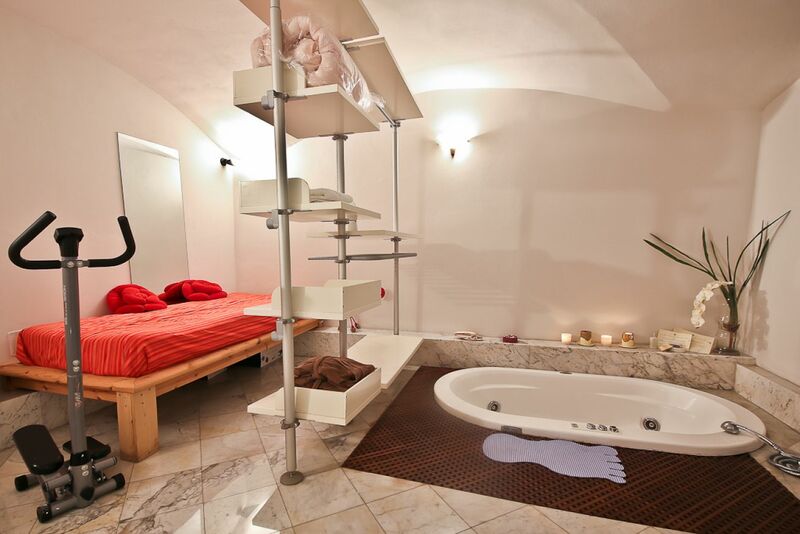 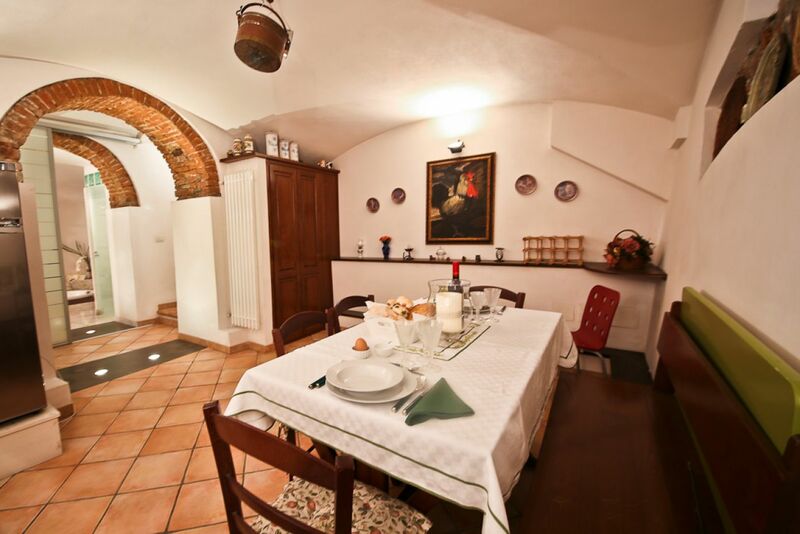 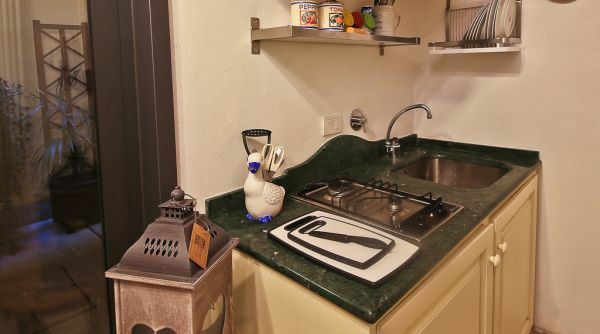 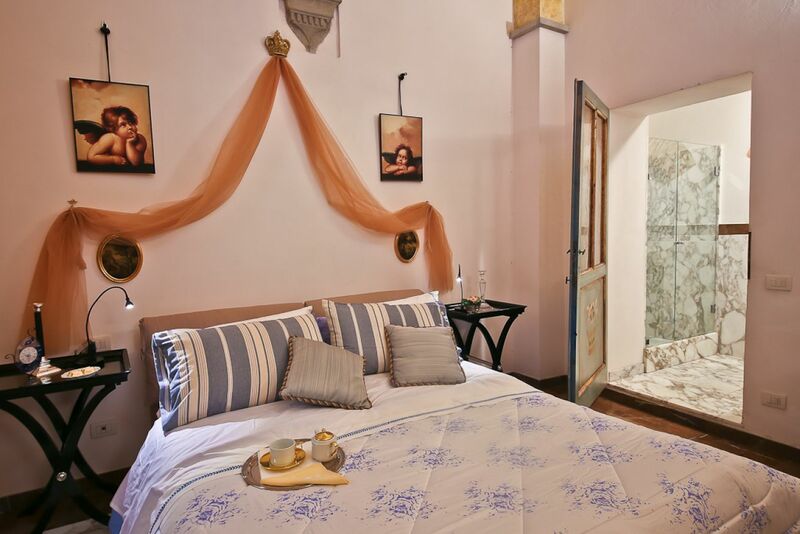 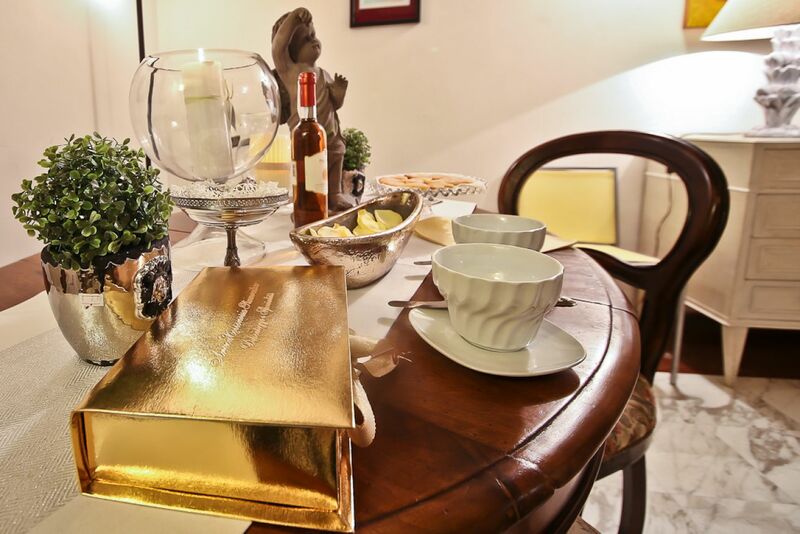 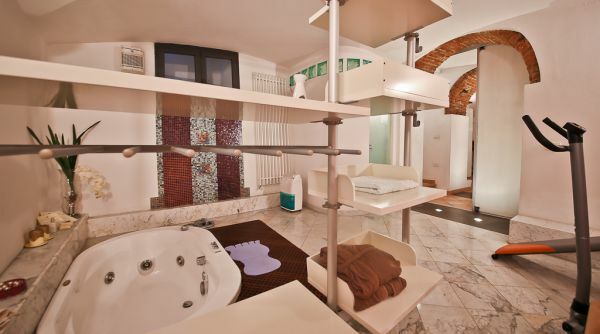 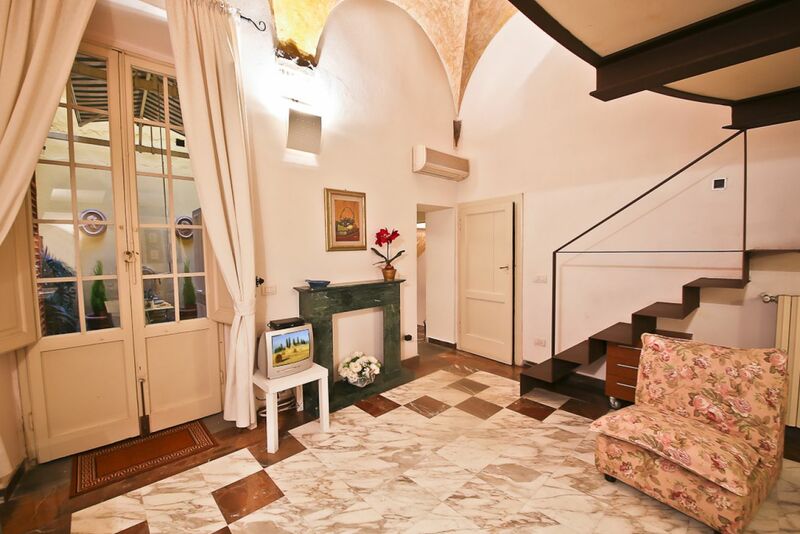 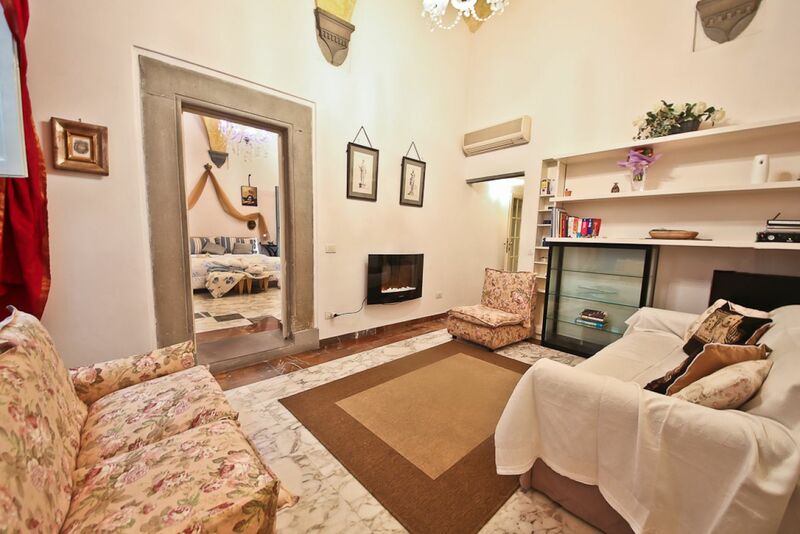 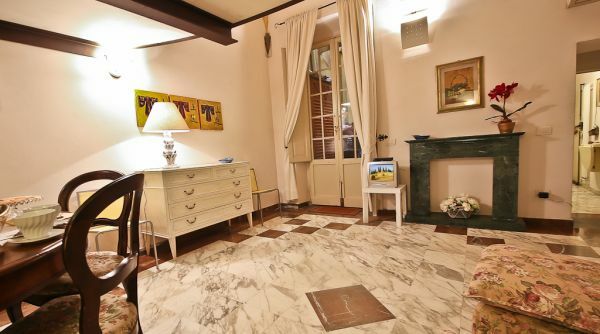 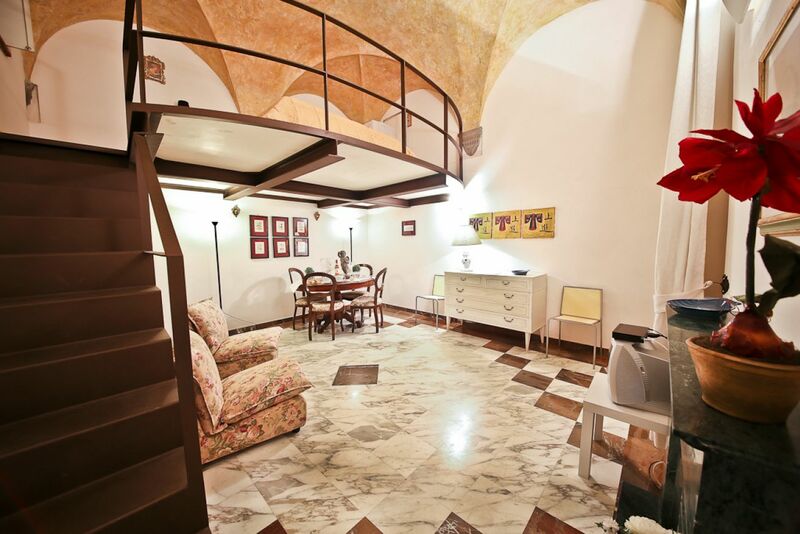 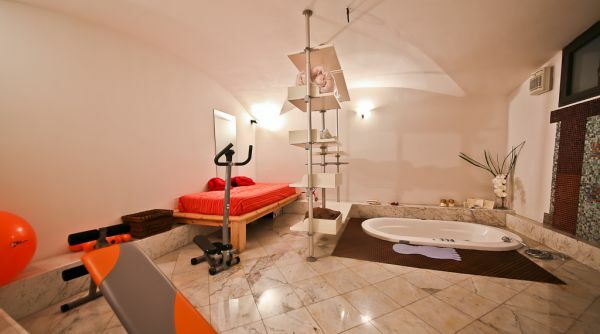 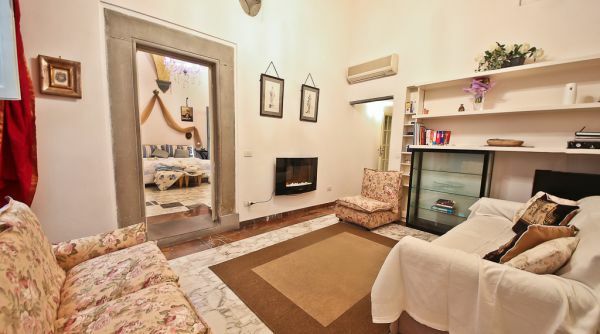 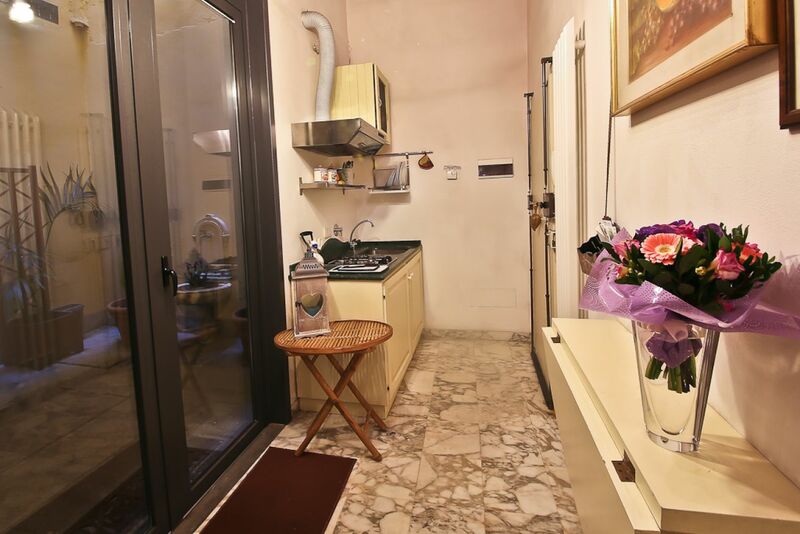 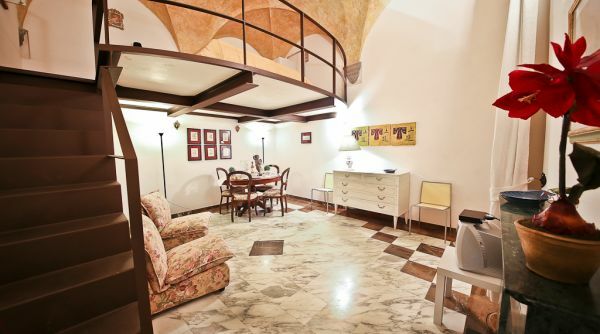 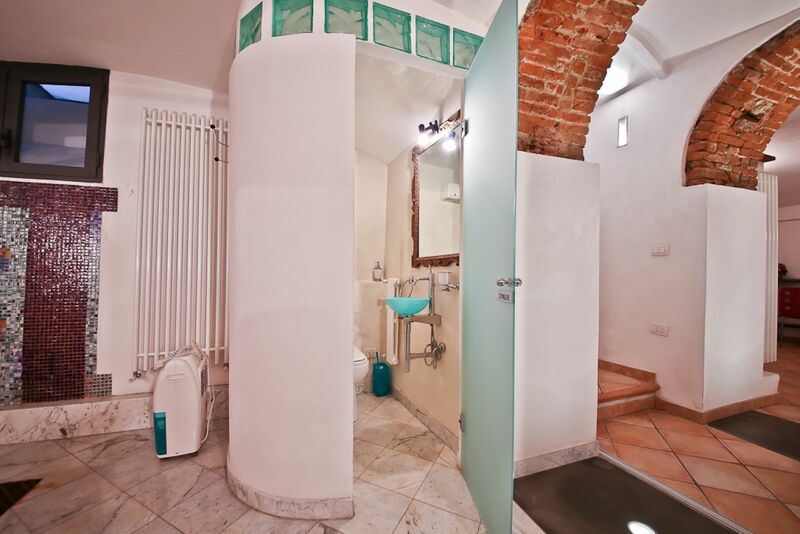 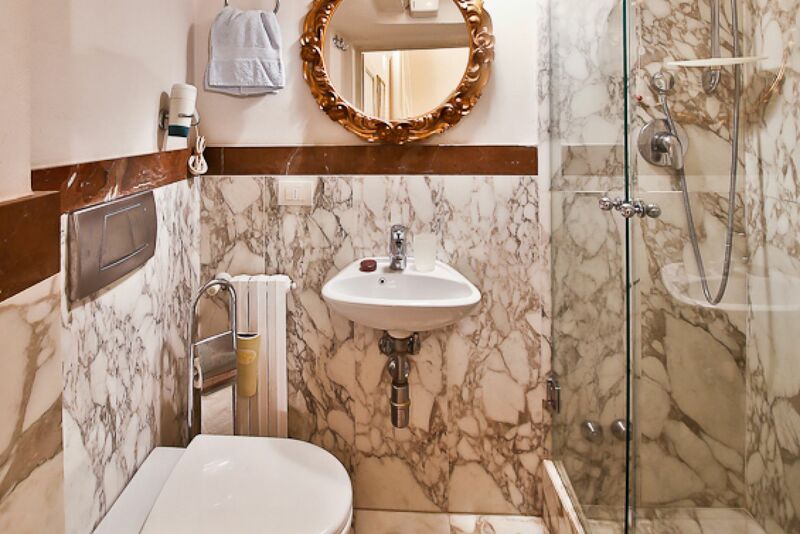 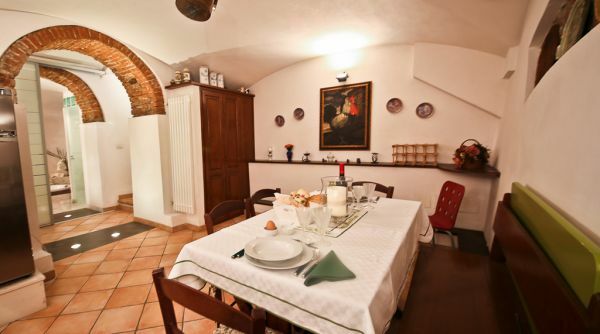 Beautiful apartment between Piazza Pitti and S.Spirito. 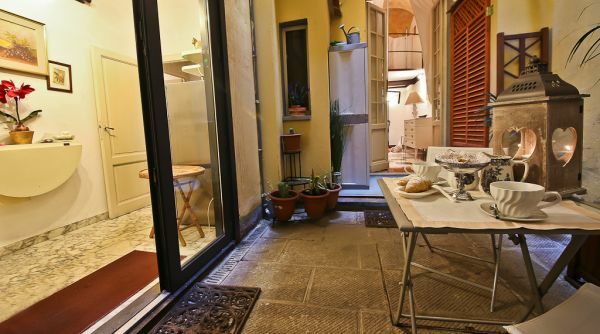 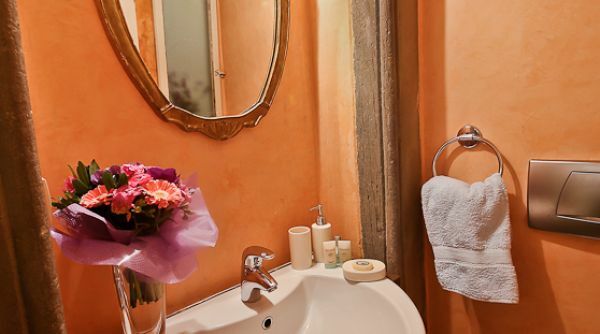 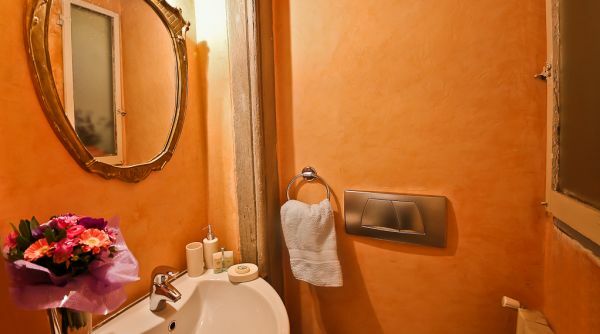 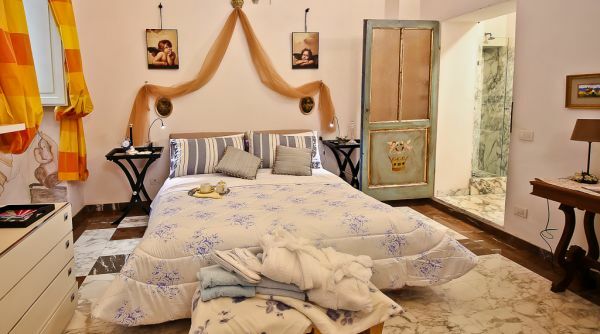 This wonderful ground floor apartment is located in the heart of the Oltrarno, close to the Ponte Vecchio, Palazzo Pitti and the Boboli Gardens. 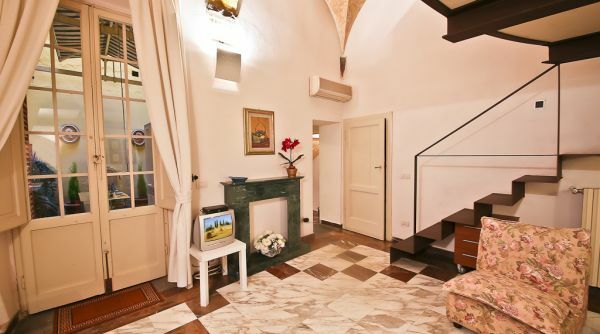 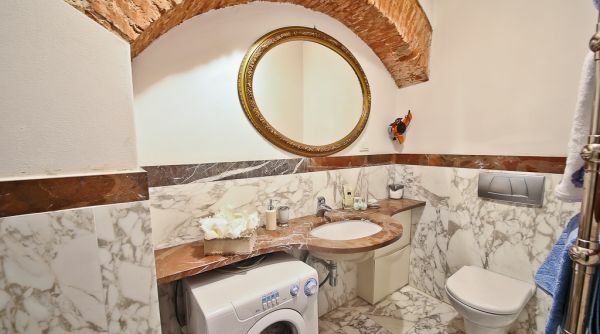 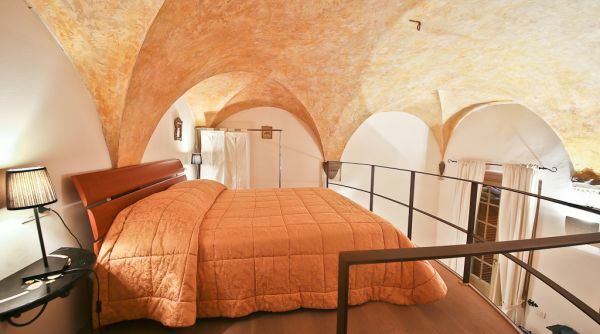 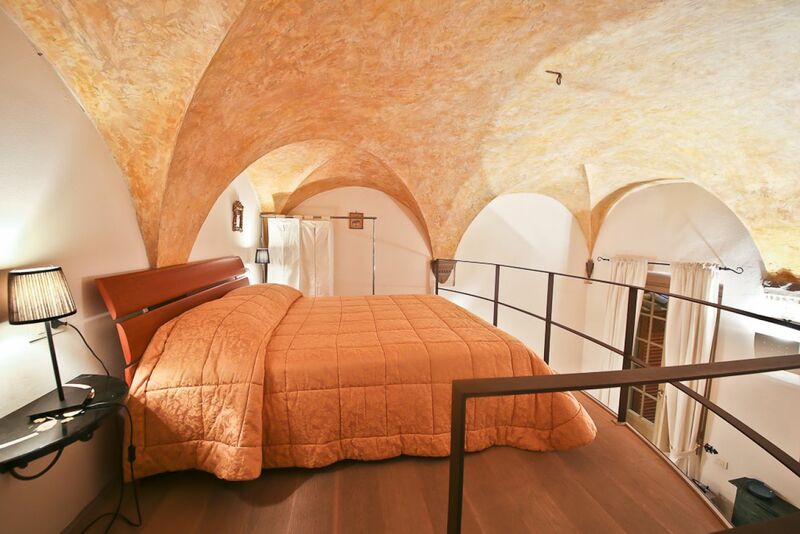 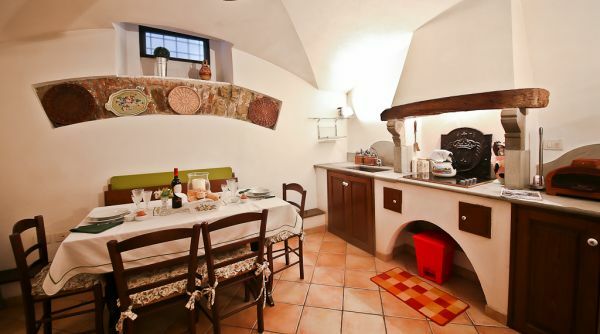 It has been carefully renovated to retain the wonderful original vaulted ceiling and exposed stonework as well as the unique layout of a Tuscan villa. 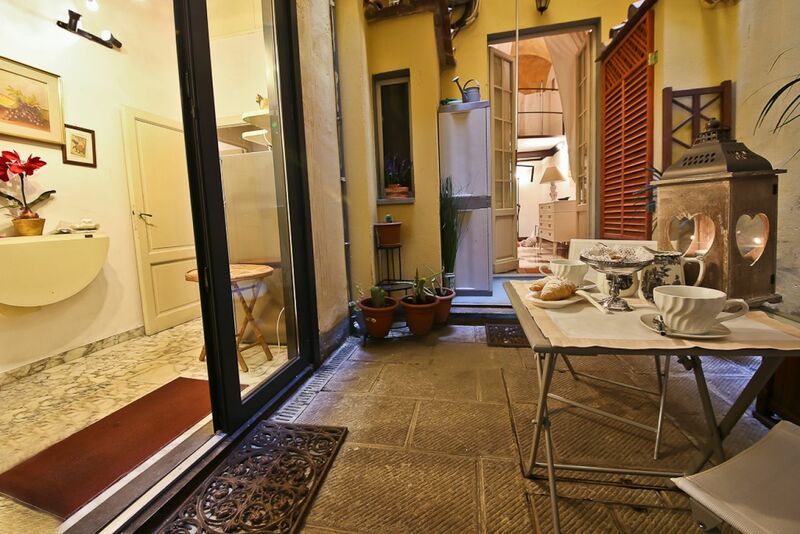 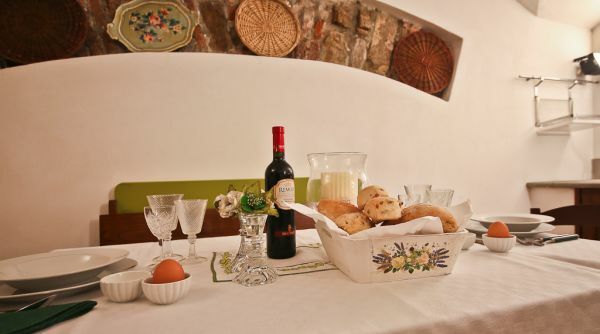 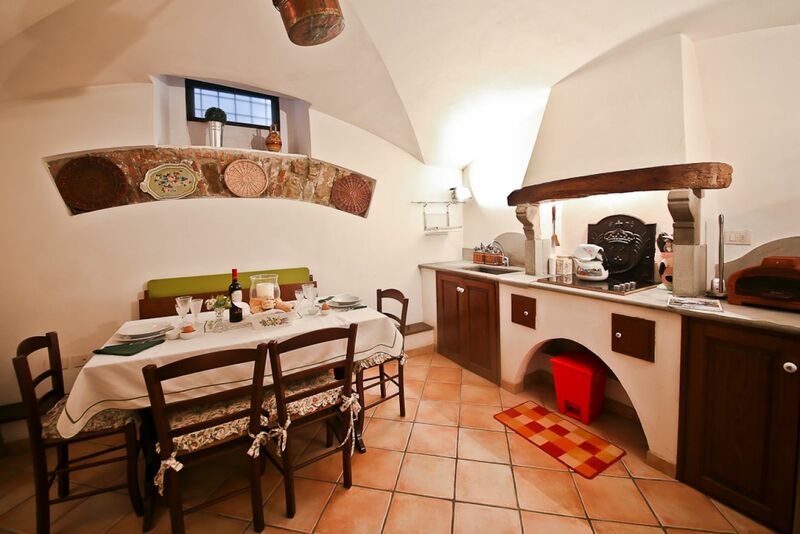 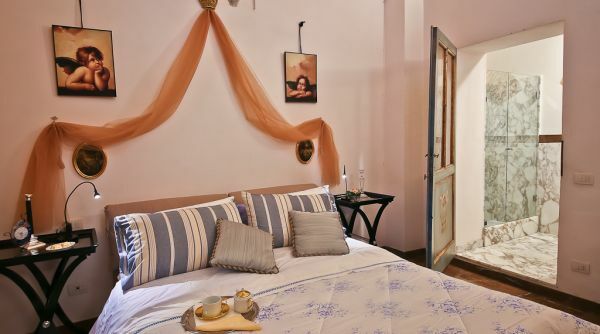 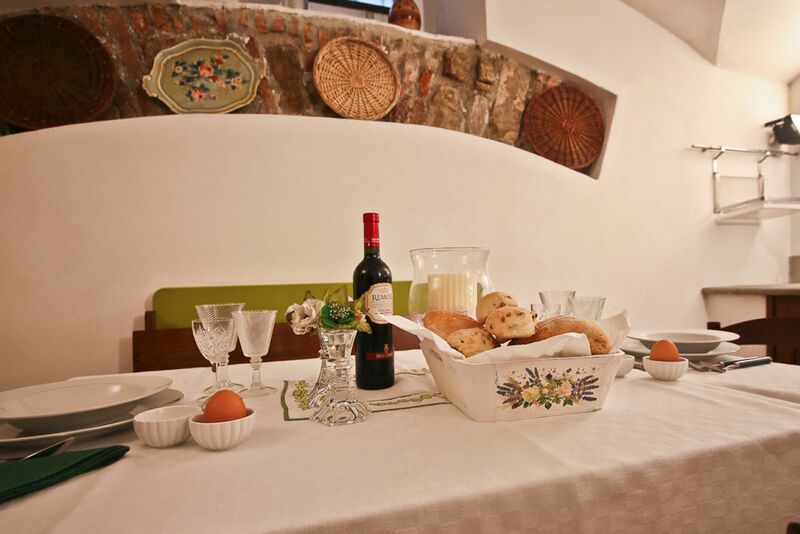 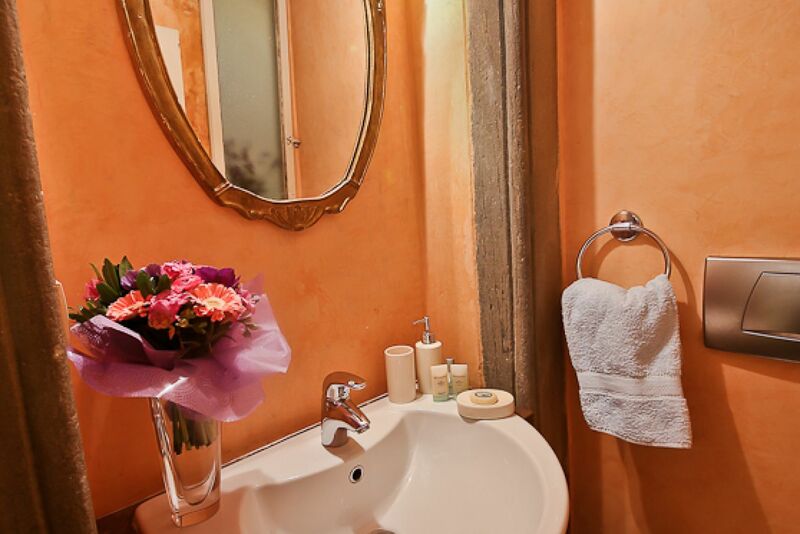 It makes a lovely holiday accommodation or long term home in Florence. 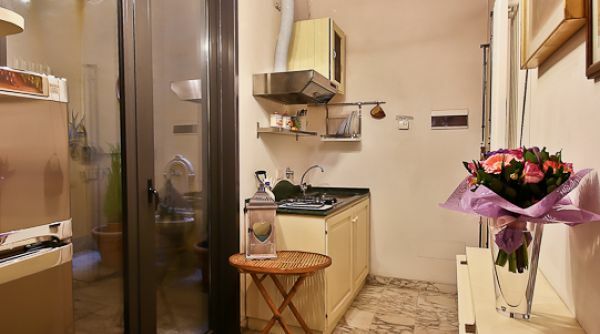 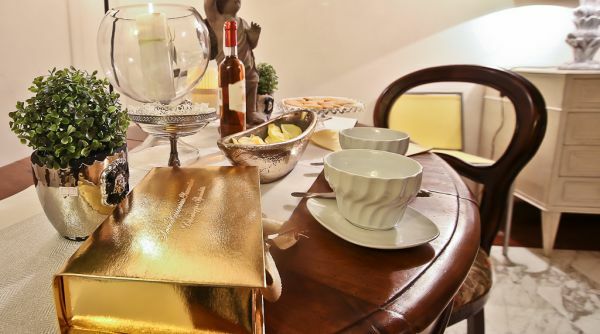 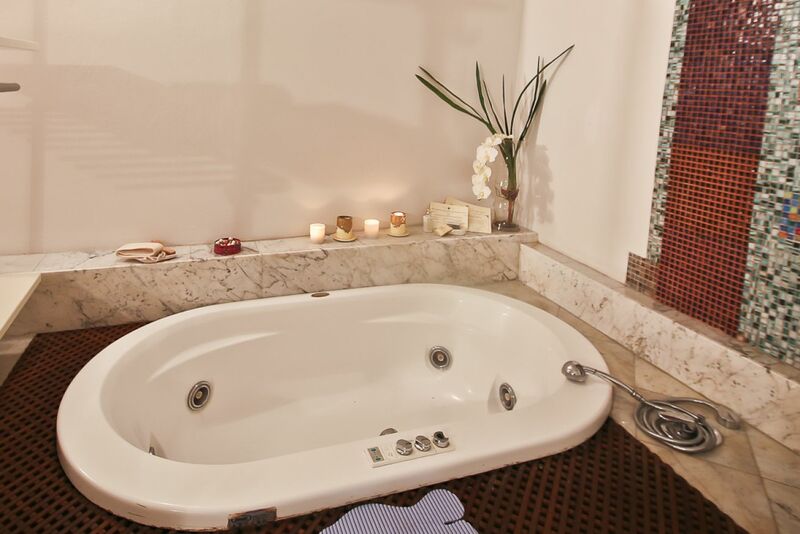 The apartment is made up of two one-bedroom apartments (Velluti Sauna + Velluti Corte) providing two-bedrooms, three bathrooms, a small gym, a private courtyard and a large Jacuzzi tub. 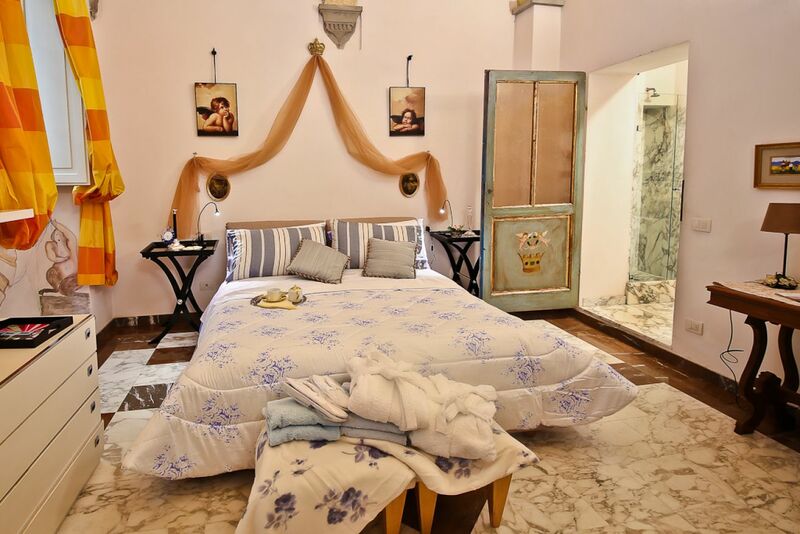 The first level features a high-ceilinged lounge, which opens up to the private and quiet internal courtyard, one of the well-equipped kitchens, the master bedroom, with a queen-size bed and en-suite marble bathroom with shower, a second bedroom located on a mezzanine level over a second seating area, a second full bathroom and a separate WC. 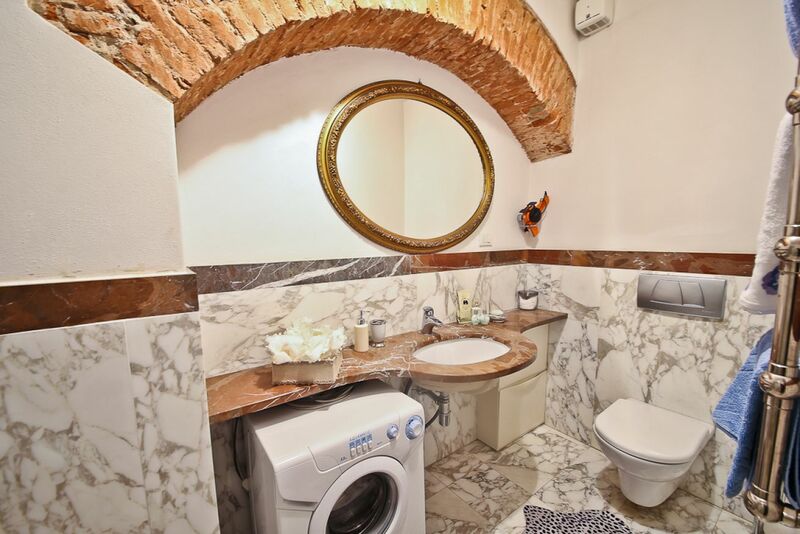 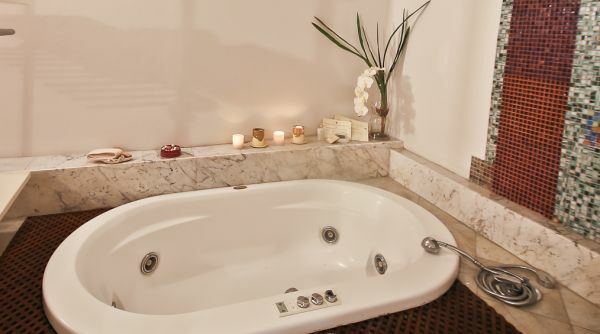 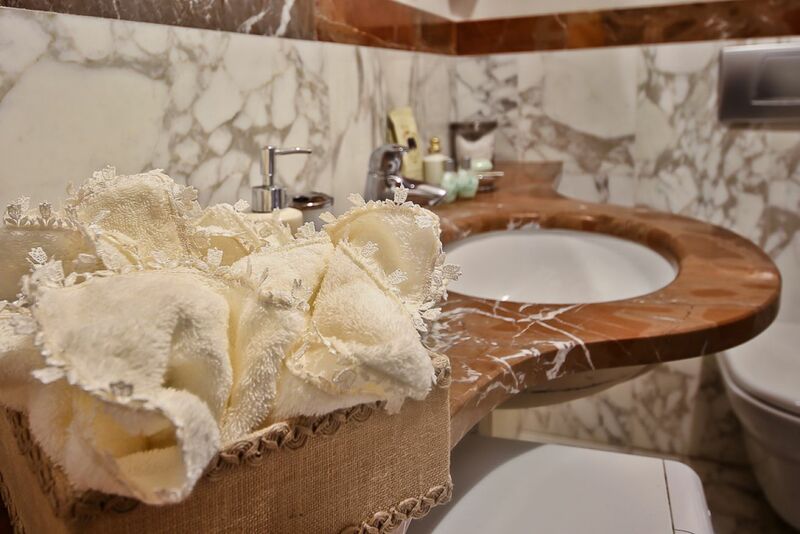 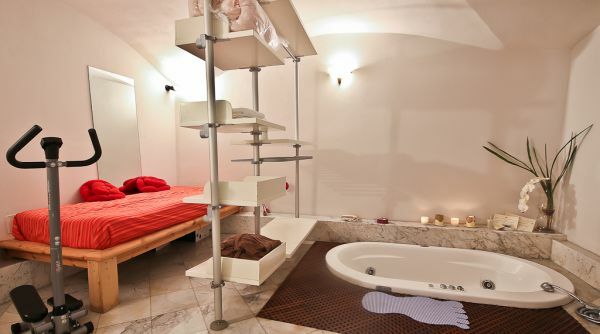 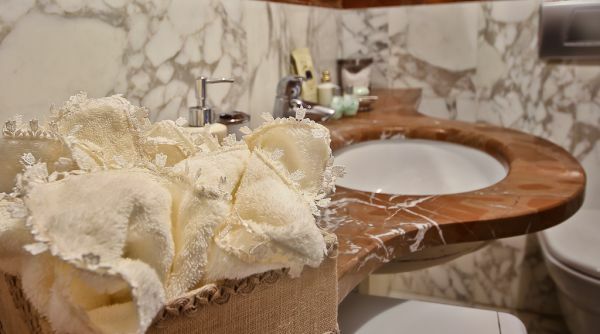 A staircase leads down to the second level, where there is a corridor overlooking a 12th century well, from which you can access the large kitchen and dining area and a second room that is fitted with a full bathroom with Jacuzzi tub, that can be used as a third bedroom or spa.